BI can be gathered from various outlets: web, client portfolios, sales, marketing, etc. The primary goal of BI is to improve decision making through knowledge and data. The term was first used in 1865 by Richard Millar Devens in the Cyclopedia of Commercial and Business Anecdotes to describe how a banker profited from gathering and utilizing information. 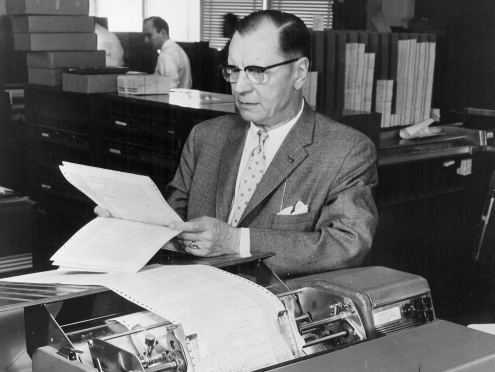 In 1958 Hans-Peter Luhn wrote an IBM Journal article called “Business Intelligence” in which he argued for systems that could automatically analyze and create documents based on the interests of decision makers in the organization. BI became more mainstream around 1997 and has since become an ever-growing, multi-billion dollar market. Today, the business intelligence market is worth over $25 billion. Significant advancements in technology have vastly improved reporting and analytics capabilities, which in turn improve business intelligence. For example, increasing capabilities of data storage and collection have allowed businesses to collect and distribute more information in a smaller amount of time. BI is all about gaining and spreading knowledge to improve decision making. This knowledge can help streamline the customer experience, generate more income, improve business performance and more. Once a need within a company is identified, business intelligence can almost always help solve it. Asif Munir, Chief Operating Officer of Brown & Joseph, uses business intelligence to improve collection results. “We use quite a unique workflow on our production floor, and we control the data environment. We also use a proprietary algorithm, which allows us to do quite a lot of performance and analysis to give that information back to our client,” he says. For example, Asif performs analyses on points of sale, demographic regions, competition and trends to produce detailed reports on collection results for clients. This helps identify any factors impacting performance, so Asif can figure out how to overcome obstacles. Asif Munir, Chief Operating Officer of Brown & Joseph, discusses business intelligence, analytics and more. It’s important to note that not every company needs to use BI. Before investing large chunks of money in BI, decide whether you really need it or not. Then, identify a problem your company is facing and how BI could help solve this problem. What do I want BI to accomplish for my company? How do I plan to utilize BI? What types of data can I collect to use to my advantage? 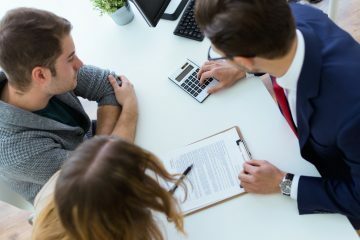 What are the pros and cons of investing in BI for my company? If you decide BI is worth the time and money, you’ll need to identify the key data points to collect and how you’ll use them to improve your decision making. Finally, invest in the software and people to set your BI plan into motion. In 2018 the business intelligence market is predicted to be worth over $100 billion. Experts are predicting that artificial and business intelligence will combine to completely streamline data and analytics. This technology will combine predictive and descriptive analytics to create prescriptive analytics, a topic already trending today. After predictive and descriptive analytics are performed, prescriptive analytics will collect and study the results and historical data to produce possible outcomes for the future. 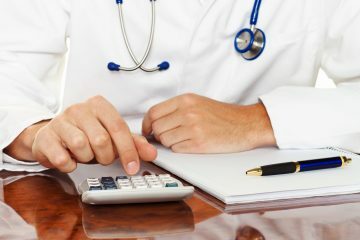 It will have to ability to predict, prescribe and adapt to all possible outcomes, which would have a significant impact on many industries, like insurance, healthcare and consumer services. Contact us today and we’ll score your current receivables to see how much more money you could be recovering with us.